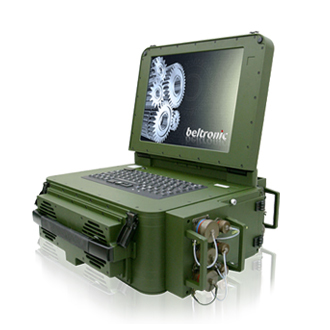 The Bit-RPC-MIL is a completely fully rugged portable computer that has been designed for use in the toughest environments. It can be used where laptops and normal portables fail. 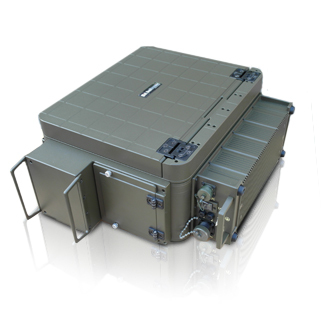 This extra robust portable was developed to cope with the daily strains which factory tools are exposed to eg., outdoor use, service and repair, flight path system analysis, geophysical exploration, and naval and military use. 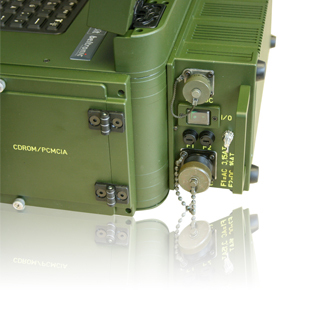 The high resolution of 1024 x 768 ensures the readability even from bigger distances and in harsh environments. 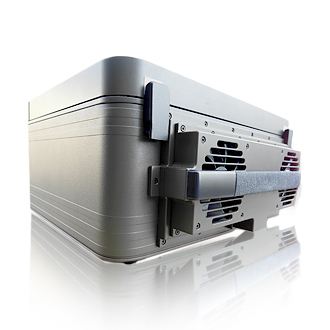 The Bit -RPC can be expanded by use of up to 6 x PCI slots. The Bit -RPC can be used anywhere in the world; the power supply can work with AC voltages from 90 to 265 at 50-60Hz or, using a cigarette lighter cable in the car, with DC voltages from 12-32. The built-in backup battery allows up to 30 min independent working. The unit comes with blank connector side box per default. Customers may mill their own breakthroughs for additional connectors. 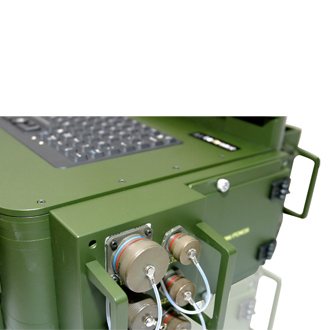 As alternative, customer may provide a connector list and the unit will be delivered with pre milled connector side box. Please consult factory for this option.